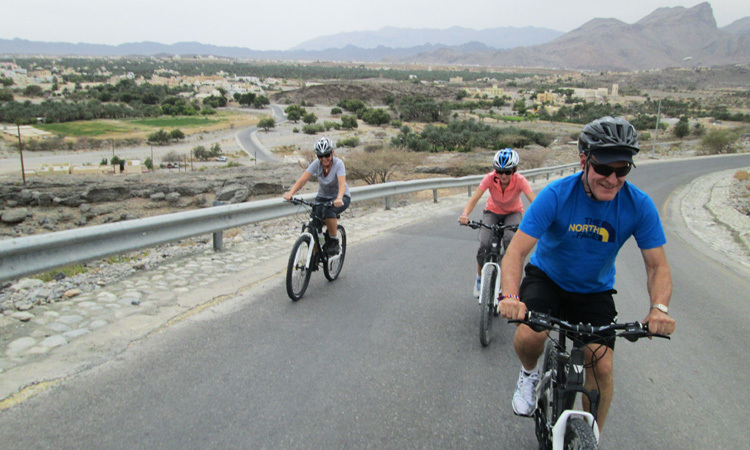 The Mountain Oasis Hiking Tour takes us on a narrow hiking trail through the foothills in Al Hamra to visit the mountain village of Misfat Al Abriyyin, down to the old town of Al Hamra and then back to The View, where we started the tour from. This hiking tour is recommended for those with some hiking experience or very surefooted people as the trail is fairly narrow in some spots and can be intimidating for inexperienced hikers. We start the tour by hiking through the mountain paths that lead from The View to small rock canyons where you will be awed by the grandeur of nature. From the canyons, we proceed to the 400-year-old village of Misfat Al Abriyyin, which is set right by a mountain oasis. This little spot of green with tiny houses rising up the rock face and tall trees swaying along with the wind is a sight to soothe the soul. Lying at an altitude of almost thousand meters above sea level, you are guaranteed some truly spectacular views on reaching there. Do step onto the viewing platform built to get a look at the entire valley and the surrounding mountains. 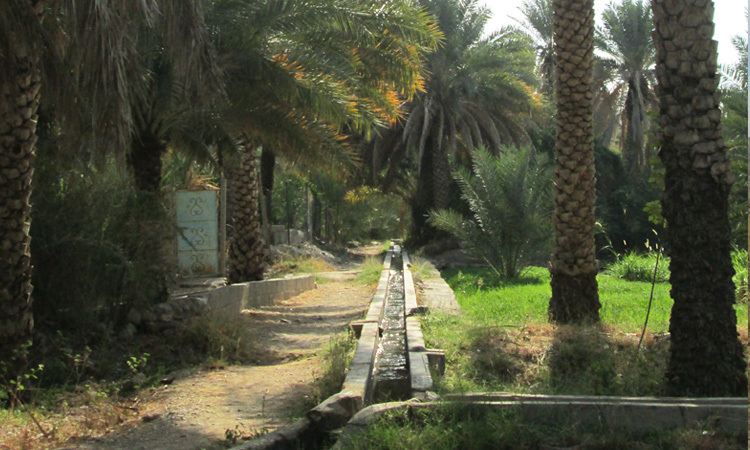 Afterwards walk through the crumbling houses and the step-plantations that are watered by the traditional Falaj irrigation system, part of the UNESCO World Heritage List. Later stroll through the date plantations of the valley or explore the village. You can also choose to have lunch here in the village. 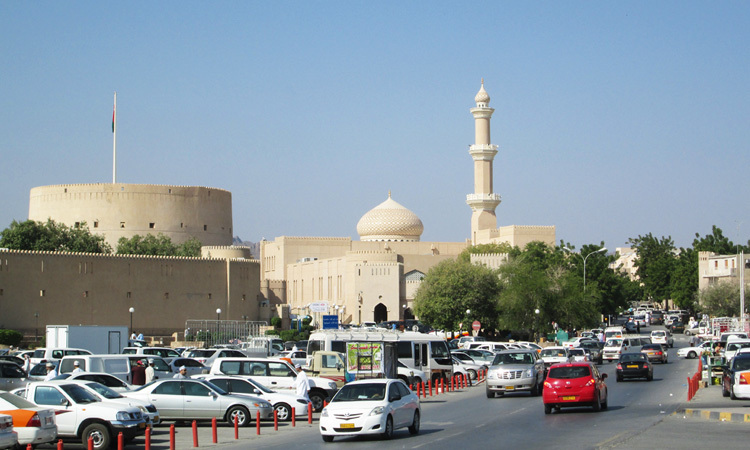 We are then driven down to the old town of Al Hamra where we will visit the lesser known Bait Al Safah museum, a ‘living history’ museum where you get a glimpse into history and the way the locals lived many-many year back and the traditions they followed. 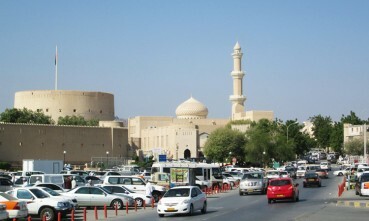 A visit to this restored mud-brick building is a fantastic way to understand the culture and history of Oman. At the end, the driver will pick you up from Al Hamra and bring you back to The View Oman, the endpoint of the Mountain Oasis Hiking Tour. Wadi Al Muaydin is a deep valley that lies right along the Western Hajar. So, after meeting at Al Hamra, we’ll drive down to Birkat Al Mouz, from where it is easy to follow the signs to towards Al Muaydin Village. A further couple of kilometres ahead this dirt road leads us off to the left and into Wadi Al Muaydin where we will start our hike. It is a pleasant hike through the endless gorge here at Wadi Al Muaydin and the crossing here allows hiking enthusiasts to reach Jebel Akhdar. It is a beautiful trail extending 7 kms long each way that makes for an enjoyable stroll through the Wadi. There is permanent water under its bed, thus the base of the Wadi is lined with a vibrant mass of trees which complement the rock-faces delightfully. Walking up the wadi leads us to a hidden cranny with a tiny cluster of pristine pools which is a great place to take a break at and relax amid nature. At this little haven, you will be undisturbed by anything apart from the frogs and little fishes that live here. 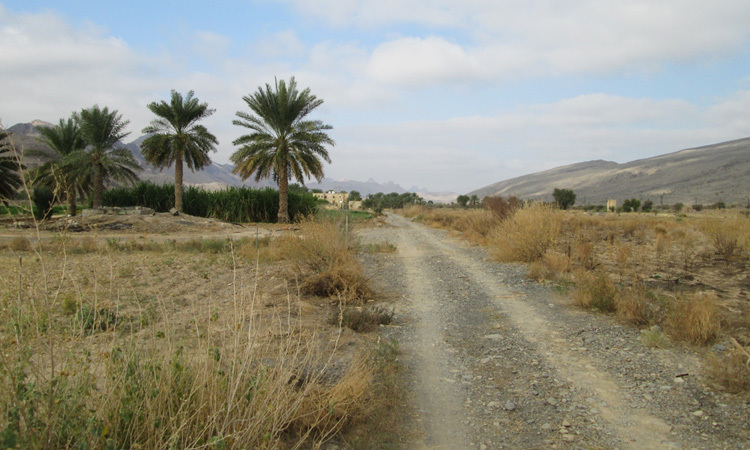 We continue onwards to the village of Masirat Al Ruwijah and its palm groves, situated at the bottom of the valley and surrounded by impressive walls. On our way back you can relax beside the pond or jump into it. The Village Hiking Tour at Jebel Akhdhar is perfect for those interested in a slightly challenging hike through the Omani mountainside. The tour is created for those individuals who are looking a rigorous and physically challenging hike through the mountains with the occasional steep trail that narrows down for to a thin path catering to the adventurous souls amongst us. 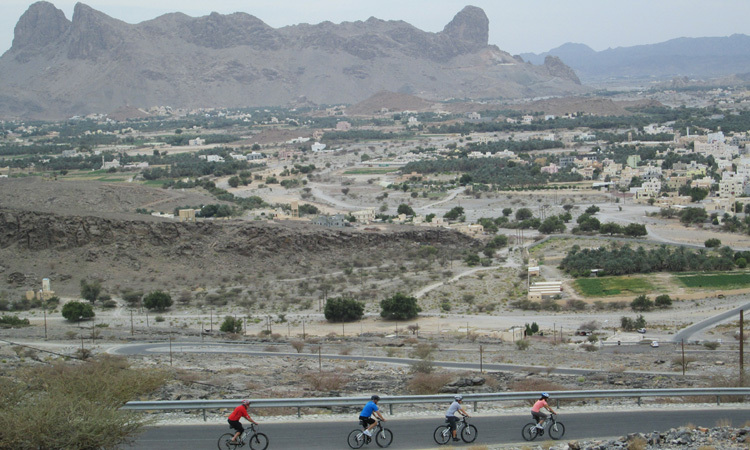 Ideal for those fit folks who are looking to club their exploration of the nature and the villages at this mountain range with some physical activity, the Village Hike through Jabal Akhdar is an enjoyable tour for all to try. Though referred to in English as the slightly misleading Green Mountain, Jebel Akhdar is not a mountain as such, but rather to an area that encompasses the great Saiq Plateau across which we offer many varied tours including this one.The group is picked up from Birkat Al Mouz and driven up to Saih Qatenah, to understand where it it situated what its like etc, is it the saiq pateau which is set at an altitude of more than 2000 m above sea level. We will traverse through numerous mountain villages as we trek uphill to the summit where we will take a break for lunch before starting our descent.Exploring the villages that fall on our path is a great way to expand our understanding of the traditional lives of the villagers and the history of Oman. The village visits help us learn not just about their lifestyles but also offer an opportunity to admire the ancient architecture and varied materials and styles used in the construction of the structures here.At one point in our village hiking trail we will come across a natural spring which meanders down the slope giving rise to a small haven of greenery and the chattering of tiny animal lives along the way. From here we continue uphill towards the summit area, which is a flat expanse offering a 360-degree view of the surrounding hills and landscapes. We take a break for lunch here surrounded by the calm breeze and fantastic views of the surrounding areas.Post lunch we start the hike down the Jebel Akhdhar. There is no set path or trail that we follow on the descent but it’s a pleasant hike downhill that leads us through another green Wadi where we can take a break to admire the beauty of nature before heading to the end point of the tour. A driver will receive us there and drive us to the final drop-off point. 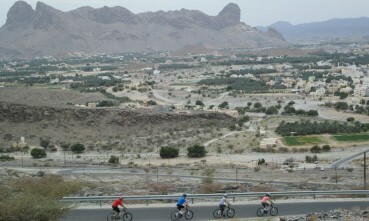 We start out in the morning from mountain plateau where The View Oman is situated. Hiking through narrow mountain trails we reach the ruins of the old Ghul village in Wadi Ghul, from there we continue on to Al Hamra and back to The View Oman.